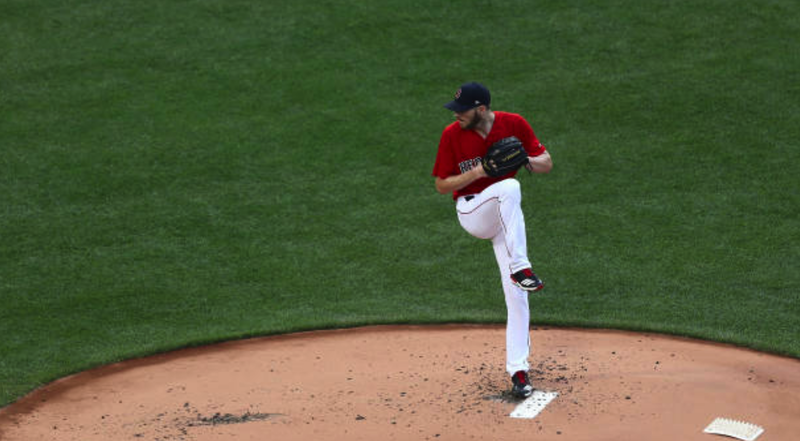 Ironically, Chris Sale was placed on the 10-day disabled list on the last day of July—a month in which he absolutely dominated opposition hitters in four starts. Because of his amazing performance during the month, the editors of FenwayNation have named the lanky lefty as their 2018 July Player Of the Month. While the Red Sox had multiple candidates for the award on the offensive side of the ball, Sale stood out from all the rest. In his four July starts, Sale went 3-0 with a 0.36 ERA. In 25.0 innings pitched, Sale gave up just 16 hits and one earned run. He walked four and struck out 43 batters. Opponents hit just .178 against him in July. Sale delivered 15.48 strikeouts per nine innings pitched, with a strikeout-to-walk-ratio of 10.75:1. Hopefully, his left-shoulder soreness will only cause him to miss one start. Congratulations, Chris, on being named the FenwayNation Player of The Month!